Elephants standing their ground in front of a dried out tree in the Savanna. African elephant societies are arranged around family units. 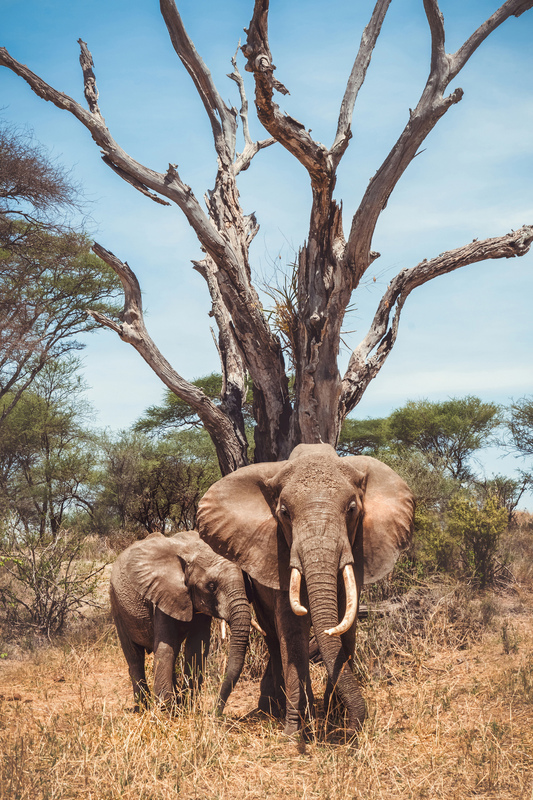 Each family unit is made up of around ten closely related females and their calves and is led by an older female known as the matriarch.When separate family units bond, they form kinship or bond groups. After puberty, male elephants tend to form close alliances with other males. Beautiful shot – I think I would prefer to Run . .
wow that’s an impressive shot, very beautiful!